Experience a newfound sense of comfort with Cal Spas Home Resort Products. With Cal Spas, you can create the world’s most relaxing paradise right in the convenience of your own home. Cal Spas Home Resort products will take you away to a place of pure tranquility, beyond anything you’ve ever dreamed of. It’s time to make every day a vacation. It’s time to embrace the Cal Spas Home Resort Experience. As the #1 Global Manufacturer of Home Resort Products™, Cal Spas provides complete backyard solutions for homeowners worldwide. 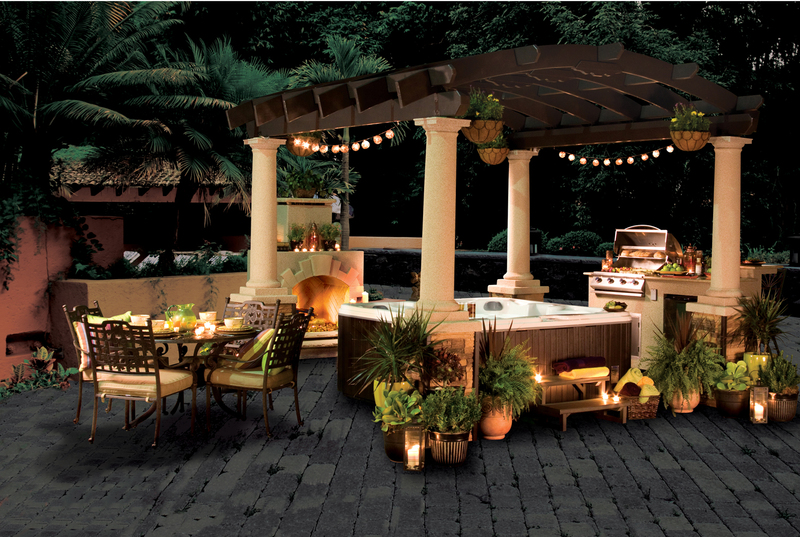 The Cal Spas brand family of products includes Cal Spas hot tubs and swim spas, Cal Designs outdoor rooms, Cal Heat indoor and outdoor saunas, and Cal Flame high-end outdoor grills, outdoor kitchen islands, outdoor fireplaces and firepits. Visit your Cal Spas today and transform your backyard into a relaxing Cal Spas Home Resort with stylish products that trigger the imagination, add value to your home and enhance your lifestyle. Cal Spas on KTLA Weekend Morning News!